Trois Rivières is an artisan, plantation rum house in the southernmost part of the island. Making its rum from cane juice, not molasses, the various bottlings reflect the dramatic terroir of the tidal flats where the cane is grown. For that reason, some of their bottlings are, shall we say? controversial, appealing more to fans of Agave spirits (Mezcal?) than traditional rum-o-philes. Her dress is colorless and crystalline. It's a fat rum. Its nose is marked by seductive scents of cane flowers and complemented by original mineral and iodized nuances. The palate is powerful, rich, dense and surprisingly mineral. The ocean is close and the marine flavors perfectly accompany the vegetal notes of sugar cane. The finish is long and totally unique, evolving between mineral and salty notes. 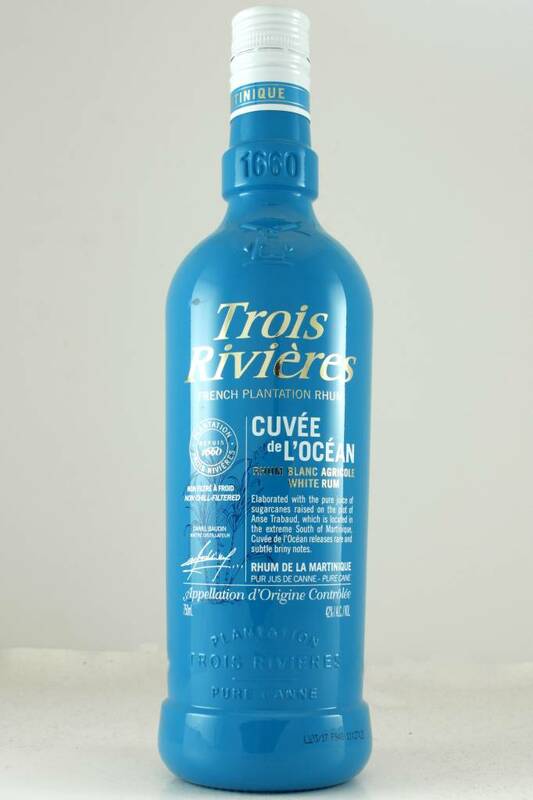 Trois Rivières Cuvée de l'Océan is a unique rum, to taste pure with seafood, Ti Punch or international cocktails such as Mojito or Daiquiri.